Barack Obama has been compared to almost every American President of the last hundred years--favorably to Franklin Delano Roosevelt, John Kennedy, and Ronald Reagan; and unfavorably to Jimmy Carter and George H.W. Bush. I want to put another name in the hat: Herbert Hoover. It might seem ludicrous, or unfair, to compare Obama to one of the most vilified presidents of the last century, but that’s because Hoover’s reputation is largely, or at least somewhat, undeserved--the product of Democratic attacks and Hoover’s own strident responses to these attacks. To his contemporaries, Hoover had been the American most suited to be president. He had performed brilliantly as head of the American Relief Administration after World War I. In 1920, The New Republic and Franklin Delano Roosevelt urged him to run for president as a Democrat. Hoover chose not to run. Instead, he became perhaps the greatest of all commerce secretaries. He was responsible, among other things, for persuading industry to reduce overall costs by standardizing industrial parts and tools. Because of Hoover’s innovations, an auto mechanic could repair any American car. Unlike other Republican conservatives, Hoover didn’t regard unemployment as a passing irregularity that time and patience would remove. In 1921, in the wake of an earlier sharp downturn, Hoover had convened a President’s Conference on Unemployment, which recommended public works as a response to unemployment. When he became president, he renamed it the President’s Committee on Recent Economic Changes. Its path breaking report, published at the end of his presidency, recognized the new problem of “technological unemployment.” Unlike his predecessor, Hoover also tried to do something about the international monetary system that was breaking down under the weight of unpaid loans and reparations from World War I. But Hoover failed, finally, because he shared the same assumptions about deficit spending and government intervention as most other politicians and economists of his day. He was willing for government to do more to combat the business cycle, but he feared that enlarging the state would lead to Soviet-style socialism, and he thought that in the end the economy would right itself the way it had before. Hoover had the potential to be a very good president, but he was overwhelmed by the unprecedented challenges that he faced. Obama, of course, is not making the same mistakes as Hoover or facing exactly the same situation. But Hoover’s example shows that a person who is highly qualified to be president and who boasts significant accomplishments in office can still fail because of the enormity of the challenges he faces. Obama could enjoy great success in getting legislation through Congress, including national health care insurance; he could take larger steps than any of his predecessors, including Franklin Roosevelt, to pull the United States out of a slump; but he could still fail and bring his party down with him. I’ll describe Obama’s formidable challenges in foreign policy in a subsequent column. I want to concentrate here on the domestic and international economy. There are two features of the current downturn that make it different and more dangerous than previous post-World War II recessions. First, it combines a financial crash--and its effects on housing--with the deterioration of that part of private industry that produces tradable goods and services, from cars and machine tools to software and pharmaceuticals. Call this part of industry the productive core of the economy. Most economic commentators have focused on the “financial crisis” and ignored or downplayed the crisis in the productive core. In the broadest terms, this crisis goes back to the 1970s when the U.S. began to lose market share--and in some cases entire industries like consumer electronics--to European and Asian competitors. It abated somewhat in the 1990s with the emergence of new computer/telecommunications/internet industries, but it became acute again in the early 2000s with the dotcom-telecom bust, which underlay the recession of 2001-2. There was a brief uptick in private non-residential investment in 2005-6, but according to the Bureau of Economic Analysis, it began to decline in 2007 and has continued to do so. In the third quarter of this year, at the same time that economists were trumpeting the recession’s end, investment in non-residential structures fell 19.8 percent and in industrial equipment 4.8 percent from the previous quarter. The proximate cause of this slowdown is that entrepreneurs do not see plentiful outlets for new and expanded investment. The deeper cause is competition from abroad--sometimes fair, sometimes unfair, and sometimes including goods from American overseas firms--and global overcapacity in industries like steel, automobiles, and telecommunications. If the financial crisis of 2008 had deepened and led to a worldwide run on major financial institutions and governments, it would have destroyed any chance of reviving the productive core of the economy. But preventing the worst from occurring--as the Bush and Obama administrations did or as the Roosevelt administration did in 1933--hasn’t by itself revived the productive core. Just as the entrepreneurs are reluctant to invest, the bankers are reluctant to loan. As the U.S. lost ground in the ’70s and ’80s to competitors in core industries, its trade deficit began to grow. According to economic theory, persistent trade deficits should force a country to devalue its currency and to stem imports and hold down what would have to be rising interest rates by slashing its budget. Austerity is the usual cure for trade deficits. But the United States has been able to avoid that fate largely because Asian countries--Japan and China, in particular--have been willing to reinvest the surplus dollars they earn in buying American stocks, bonds, and Treasury bills. They do the United States this kind of favor because it keeps the value of their currency low and allows them to continue running trade surpluses. The U.S., for its part, has been able to run large trade and budget deficits without paying an immediate penalty in cost of living, but it has suffered, in the process, the erosion of its productive core. This system began to break down in the last decade, as the dollars, which found their way back to the United States, were not invested in the productive core, but in speculation. As Fed chief Ben Bernanke reiterated last week at the American Economics Association meeting, these dollars helped to fuel the housing bubble and the market in derivatives. When the financial bust came in 2008, it revealed an economy in arrears. Policymakers now argue that financial panics of this kind could be prevented by rigorous reform measures. Perhaps so, but the problem that created the crash, and contributed to the erosion of American industry, lay not so much in domestic finance as in the unbalanced trade and currency relations between the United States and Asia. If nothing is done to mend those relations, the recovery itself is likely to be weak--like the pseudo-recovery after the 2001-2 recession--and financial panics will recur. In Obama’s first months in office, the president and his chief economic advisors, White House aide Larry Summers and Secretary of the Treasury Tim Geithner, may have underestimated the economic crisis they faced. Obama repeatedly referred to it as a “financial crisis,” suggesting that if the government were able to prevent the banks from going under, they would begin loaning again and the economy would recover. Treasury’s worst case estimates of unemployment in 2009fell below the double-digit rates of the last quarter. But Obama and his advisors did grasp--if tentatively at first--the novelty of the challenge that the American economy faces. The stimulus package that Congress passed last February exceeded any previous attempts to counter a downturn. It included funds for improving education and subsidizing the development of green and biotechnology industries--two areas where the U.S. could find new outlets for private investment and growth. The Obama administration was also quick to bail out the American automobile industry. And Geithner criticized China for “manipulating its currency”in his January confirmation hearing. The question with Obama--as it was with Hoover--is whether his efforts, which are in the right direction, will prove sufficient. The stimulus has promoted growth, but largelyin non-tradable private and government services. It may have continued the trend toward an economy divided between Wal-Mart at one extreme and Goldman Sachs at the other. Promoting green growth--from windmills to electric cars--is a good idea, but Asia and Western Europeare already ahead of the United States in these industries and are putting more money into them than the United States is. The sheer size of the stimulus may not be large enough to keep unemployment below double-digits next year. And Obama’s and Geithner’s tentative jawboning of China seems to have had little effect. Indeed, when China has responded harshly to American criticisms of its currency and trade manipulation, the U.S. has quickly backed off. Forced to content himself with half-measures, Obama, like Hoover, could fail to meet the challenges of the economic downturn. Hoover’s principal failing was ideological. He wasn’t willing to do what was necessary because he feared the growth of an all-powerful American state and because he thought budget deficits would end up retarding rather than spurring economic growth. Obama and his advisors are not so much victims of their own ideology, but of politics, geopolitics, and other people’s ideology. If Obama wanted to undertake a dramatic government-led reinvigoration of the core economy--the industrial equivalent of war--he would be blocked by Republicans and probably by some Democrats as well. The opposition would certainly involve blind partisanship on the part of some Republicans. And it would be facilitated by the Senate’s archaic rules. But the basic problem isn’t partisanship or process; it’s ideology. In his theory of history, Arnold Toynbee introduced an idea he called the “idolization of ephemeral institutions.” Countries that face economic or military decline have tended to look for solutions to those ideas and institutions that they associated with their past glory. The British in the 1920s looked to the gold standard as the solution to their economic slump. The Germans and Italians hearkened back to their authoritarian past. In the U.S., the specter of decline has revived arcane notions of economic and political individualism and pre-Keynesian economic theories. As Obama’s half-measures of spending and stimulation have failed to stem the rise in unemployment, many Americans have concluded that the fault lies with government intervention itself. Internationally, too, Obama is finding it difficult to assert his economic priorities. That’s partly because of the administration’s preoccupation with the Middle East and South Asia. During his visit to China, Obama probably downplayed American concern over China’s currency manipulation in order to win Beijing’s support for curbing Iran’s nuclear ambitions. But the erosion of America’s productive core and the strains upon the dollar-denominated world economy have also reduced America’s leverage. It has to tread lightly for fear of provoking a run on its currency. If Obama does fail to stem the downturn--if unemployment hovers in the high single digits during his presidency--he and the Democrats are likely to lose power. The public’s approval of a president and his party closely track the state of the economy. In this case, the story of Obama’s presidency could have a very unhappy ending--not just for Obama and the Democrats, but for the United States. When Hoover failed to reverse America’s slowdown and was booted out of office in 1932, he was replaced by Franklin Roosevelt, who, unlike Hoover, was not hamstrung by a rigid anti-government ideology and anti-deficit economics. If Obama and the Democrats lose power to the Republicans in 2010 and then 2012, they will be replaced by a party that is mired in the idolization of past institutions and is even less equipped than the Democrats to deal with the challenges of the twenty-first century. Hoover’s defeat led eventually to America’s revival. Obama’s defeat could speed the country’s decline. 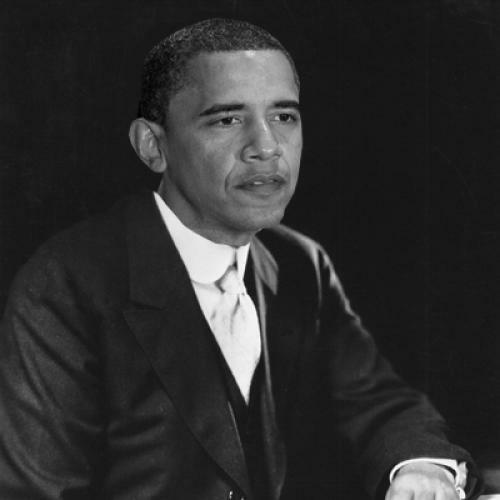 UPDATE: Lo and behold, I was not the first person to compare Barack Obama to Herbert Hoover. A reader kindly sent me an article Harper’s Magazine ran last July by Kevin Baker, “Barack Hoover Obama: The Best and the Brightest Blow It Again,” that also draws a comparison between the two men. John B. Judis is a senior editor at The New Republic and a visiting scholar the Carnegie Endowment for International Peace.